For Father’s Day, we gave Dad a USA soccer World Cup hat. He has been wearing it continuously, as everywhere we go, the World Cup matches are on the TV, from the hotel lobby, train station, restaurant, and taxi radios. To make things more interesting for me, the non- sport fan, we have all drawn team names and are keeping a family standings chart. I am in the lead by the way, much to the dismay of Boy and Dad. 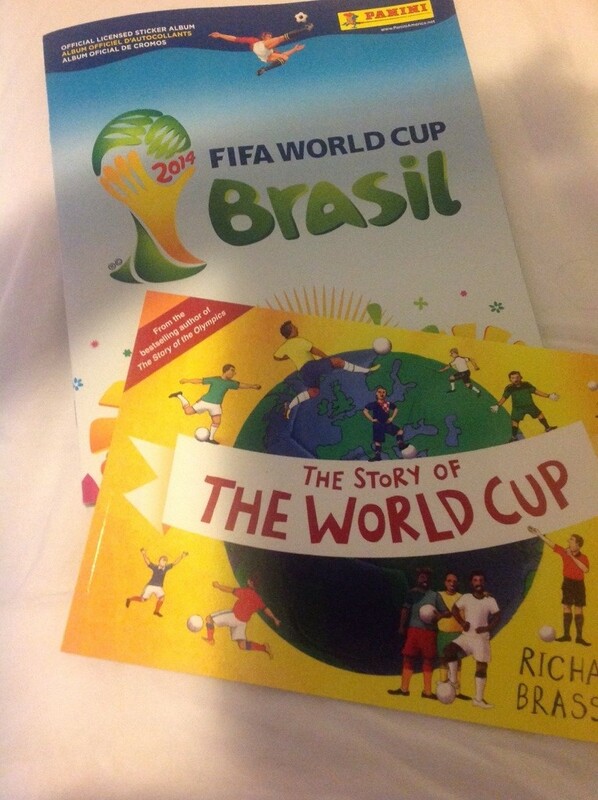 Boy and Dad are constantly on the lookout when we pass by a news stand for the World Cup sticker packs. These are trading card like stickers of the players that you can collect in a magazine, that shows each team and where they are from. Hmmmm, does this count as geography studies? This entry was posted in Europe, Roadschooling, USA. Bookmark the permalink.